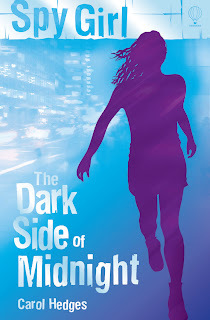 Writing for Tweens: Who ARE These People? 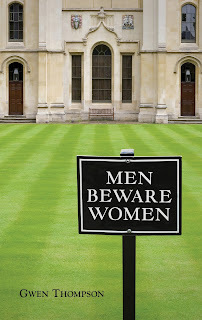 Guest blogger Marian Lanouette: Why Mysteries? The middle-grade market presents a particularly wonderful opportunity for creativity in the fiction writer. Tweens are, as that colloquialism implies, between stages. Kids of 8-12 years are developmentally very different from younger children, yet just as different from teens. They’re more sophisticated than tots but not as surly as teens. And they’re ready for anything, while they haven’t yet seen enough to be cynical. It’s a kind of emotional and intellectual twilight that I find very rewarding to write for. I gave some thought to why this age group is so special to me, and offer a list of suggestions for other writers who aspire to write middle-grade novels or stories. Use your imagination. Tweens crave new experiences, even imaginary ones. So take them someplace fabulous you’ve invented, or some fabulous time you’ve researched. And twist that plot! Under no circumstances should the story be ordinary or predictable. Make it fast. There should be plenty of action. It needn’t be violence, but things need to happen. It’s more than “show, don’t tell.” Of course, as in all lit, scenes should be described in such a way that the reader feels s/he’s there. I’m talking about physical activity. And the characters should be the agents, the ones causing things to happen or change. If the world simply changes around your characters and they just stand there and take it, your young reader will close your book and start playing a video game, where s/he can have the illusions that s/he’s actually doing something. I’ve recently been re-reading Madeleine L’Engle’s A Wind in the Door. One thing that strikes me is the amount of time characters stand around talking about ideas. Do not try this at home! No publisher would stand for it, and no kid either. L’Engle’s book was published in 1973, long before kids had tablets, gaming devices, and smartphones growing out of their fingertips. It was a slower-moving (and generally better-educated) populace. And let’s be honest: Even L’Engle might not have gotten away with it if she didn’t already have a Newbery for A Wrinkle in Time. Make it smart. The tween brain is an awesome machine. These kids absorb vocabulary, scientific concepts, and all types of minutiae at a rate they’ll never match later in life. They’re hungry to know stuff. Give them unusual details. Give them new words. There’s little they can’t handle if it’s presented right. Make it funny. All good teachers know that one of the ways to make new information go down more easily is to slip it in during laughter. Tween audiences can handle a fun combination of silly and clever, pratfalls and puns, wedgies and witticisms. So make that dialog snappy and make those situations wacky. And maybe a little bit gross. 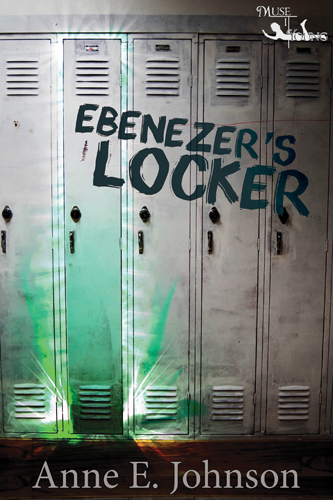 You can purchase my tween paranormal mystery, Ebenezer’s Locker, directly from the publisher or on Amazon or BN. You can purchase my tween medieval mystery, Trouble at the Scriptorium, directly from the publisher. During wartime parents will go to any length to protect their children from harm, even if it means separation from them. Trevor Forest has written a wonderful middle-grade novel about a girl sent away from London by her parents in World War II. Trevor joins us today to discuss his inspiration and research for this book. Peggy Larkin’s War is the story of a ten year old girl who is evacuated by Government decree, from London to the countryside at the outbreak of war in September 1939. I first had the idea for the character after watching a program on TV about people who were evacuated from London as children. It must have been a terrible experience to be taken away from everyone and everything you know and sent to live with complete strangers in what was, for the vast majority, a completely alien environment. Some kids had a great time with kind, caring families while others were treated as nothing more than a source of free labour. I was extremely lucky to find a couple of elderly readers at my local library who had lived in London in 1939 and were evacuated for the whole of the war. 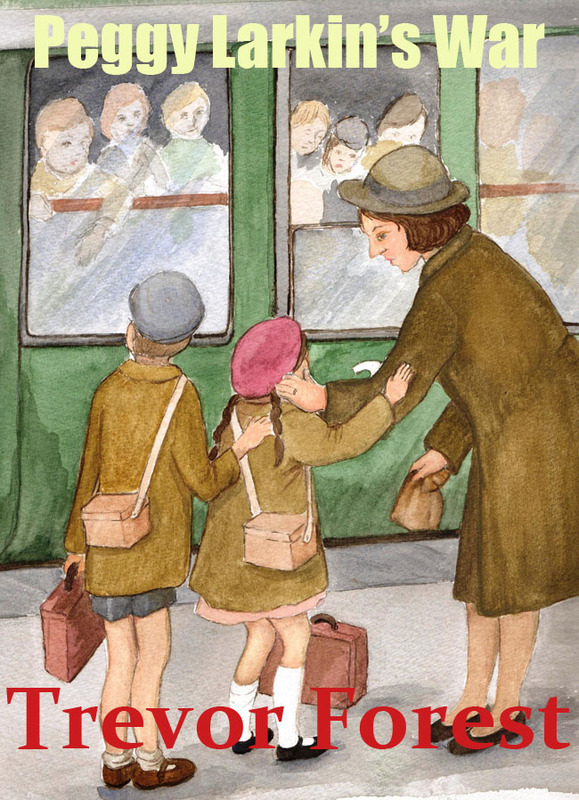 They proved to be a wonderful resource and provided much of the background detail, including information about the railways, the wartime posters and the attitude of adults towards children. A good number of children returned home when the blitz ended but my two new friends didn’t. Elizabeth Scot’s father was sent away to fight and her mother was a skilled worker in a munitions factory. Her house was bombed not long after the evacuation and her mother ended up renting a single room near the factory. The only contact between them was the odd letter or birthday card. Edward Barker, my other contact, lost his mother when their house was bombed in early 1940. The only relatives he had were elderly and had only met him on a couple of occasions so it was decided that he would be better off staying with his new ‘foster’ family. 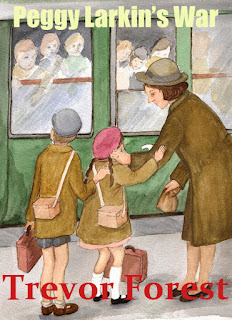 I began my second line of research by searching for evacuee stories on the internet. The BBC has a fabulous site called The Peoples War, containing interviews and information about the 2nd world war and the evacuation in particular. I logged on to those pages frequently. I was born just a few years after the war ended so I can remember a lot about the language, fashion and housing standards of the time. Food and petrol rationing didn’t end until 1953. I had my own ration book as a baby. Illness was another thing I had to research carefully. In the book, Peggy succumbs to Scarlet Fever and I needed to know how prevalent the disease was back then. Scarlet Fever, not a serious disease now, could be a killer back then. Antibiotics were a very recent discovery and any available were used for the troops. I also had to research how diabetes was treated in the pre-war years as Peggy’s host, Mrs Henderson, suffered from the disease. You can buy Peggy Larkin's War on Amazon. Learn more about Trevor Forest on his website. 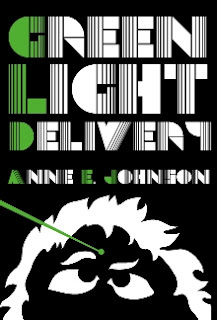 GREEN LIGHT DELIVERY giveaway winner, plus a plea for help for a colleague. Tim Holdsworth, you are now the proud owner of a signed paperback copy of Green Light Delivery! I'll be contacting you about how you'd like the book signed and where you'd like it sent. Woo-hoo! Congrats to Tim and thanks to everyone else who entered. If you didn't win and you'd like to buy Green Light Delivery, you can do so from the publisher, on Amazon, and at B&N. Attention writing community: Sue Bolich, a novelist who publishes fantasy novels as S.A. Bolich, needs our help. She recently learned that her cancer has returned and spread to her bones. She's asking all her fellow writers to assist her by promoting her books or buying them for yourselves or as gifts. 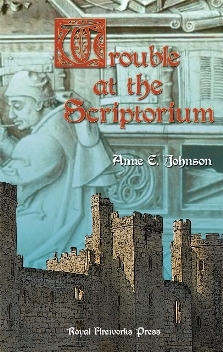 Here's a link to Sue's Amazon Author Central page, so you can learn more about her work. Please consider giving her a bump on Twitter, FB, or your blog. Thanks! Plotter or pantser? It's the eternal writer's question. 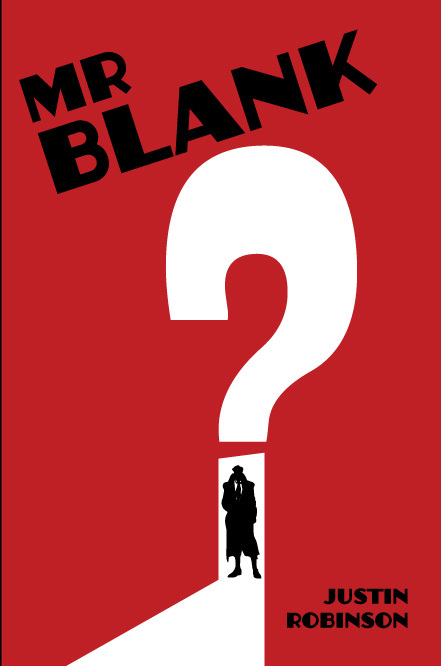 Justin Robinson, who is celebrating the launch of his very funny suspense novel, Mr Blank, shares his thoughts on how he learned to stop pantsing and love the outline. Back in August, I volunteered over at Marshall High for career day. Long time readers will remember this as the site of the Afterschool Special “Two Loves for Jenny,” which somehow forgot to include a single character named Jenny. I was over there because the college counselor inexplicably thought I could have some wisdom to offer high school kids beyond toothpaste making beer taste funny. I found myself sitting in the lunch area with a little sign that said “Justin Robinson -- Writer” as about sixty teenagers wandered from table to table to chat with the various professionals (and me) scattered throughout. I bumbled, stammered, and joked my way through the two hours, otherwise known as how I deal with every social situation. The kids asked a variety of questions, but the one thing I kept returning to was the importance of The Outline. I used to turn my nose up at the thought, not because it was a bad idea, but because it smacked of work, something that writing couldn’t be. Accepting that not only is writing work, but is occasionally hard work, is one of the more important steps to doing this sort of thing as a living. And come on, it’s not like construction workers throw up buildings off the top of their heads. Someone makes an actual drawing beforehand sometimes. Books are a lot like buildings, except that barely anyone pees in books. I’m a compulsive outliner now. My first novel, Subspace, was the only one I did without an outline, and I got away with it because it already existed as a novella. When I sat down to write Mr. Blank, I wanted to avoid the issues of stalling out and rambling on that plagued me in the past. This would require outlining. I started out knowing I would need exactly 23 chapters (required if you’re writing anything about conspiracies), and went from there. 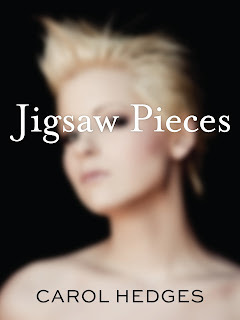 Each chapter was structured around a conflict between the narrator and some representative of the Information Underground. Since chapter 12 would be the middle, it would serve the fulcrum of the book, where our hero would develop the hypothesis that carries him through the rest of the story. There’s a tendency to want to follow an outline slavishly, and it stems from the same place as a reluctance to rewrite. It’s the weird sense that the words came from on high and are binding contracts. They’re not. The outline is a tool, not a master. Sometimes, either what I’ve outlined isn’t possible to write or sounded better in the outlining phase than it looks on the page. When that happens, I look at both the outline and the book. I try to figure out my reason for outlining it that way. Was it a solid reason, or was it just because I lacked perspective on the book as a whole? While writing, did I make some breakthrough on character or plot? Am I missing out on a good moment, or did I outline something no sane person could ever communicate? Outlines are important for the same reason you don’t wear white to a pie-eating contest. Be prepared, and you won’t feel quite so silly while fishing raspberries out of your sinuses. You can learn more about Justin Robinson on his website. 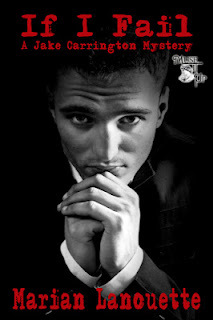 You can purchase Mr Blank from the publisher, or on Amazon and Barnes & Noble. Celebrating the release of her adorable rhyming picture book, Steamduck Learns to Fly (yes, it's steampunk for kids! ), Emilie P. Bush stops by to share her thoughts on teaming up with the right artist. She was lucky enough to find William Kevin Petty to collaborate with. Getting your hands on a GOOD illustrator. If you would have asked me as little as two years ago if I ever thought I would have written not one but TWO bestselling children's books, I would have laughed. LAUGHED! at the notion of me writing a children's book AT ALL. But there they are - two hit stories: Her Majesty's Explorer: a Steampunk bedtime story and Steamduck Learns to FLY. And I am truly delighted with how they turned out, and I know that it has VERY little to do with ME - the author. It has more to do with the pictures. Dr. Seuss's words are just silly without the equally goofy pictures, the detail Margot Apple puts into the Sheep books keeps Nancy E. Shaw's tale visually interesting, and Shel Silverstein's poetry is clearly enhanced by the dramatic illustrations. Recognize of how little importance the author is to the children's book. The words are few in a children's book, so they must be chosen carefully. A good illustrator will ENHANCE the words written, to the point of telling more of the story through images. Choose an illustrator with IDEAS. I do more writing for the children's books is in the form of press releases, promotion and blog posts (like this one!). Fear not, pen monkeys, there is more to writing than telling stories. Lean to love promotion and marketing copy. Look at what the standard is for a good children's books. Look through valid award winners - specifically The American Library Association's Caldicott Award for illustrations and awards specific to genre books - like the Golden Duck Award for Children's Science Fiction. These are the best, newest and most innovative books and illustrations. For our first book, Her Majesty's Explorer, we looked at many books to help us make decisions on format, size, layout and color scheme. To tell a Family Secret - Neil Gaiman's Instructions was highly influential. My illustrator and I shared several books back and forth in the creation of our book. Pictures are worth thousands of words. Artists can be flaky. Budget for this time wise, but choose an illustrator that has finished ANYTHING - not necessarily other books, but do they have product they have produced and sold (posters, postcards, gallery shows, etc.). *One of the reasons I decided to work with Kevin is that he had the discipline of a soldier and the talent of an illustrator. BOTH were important to me. You get what you pay for. And artists need to be paid. Very few can eat "good exposure" or pay rent with a pat on the back. Usually, an illustrator is paid out in advance of the book being published. Artists for hire is what they are. They draw or paint, then they go on their merry way. Where to find these folks? recommendations from other writers, or websites like dragonpencil.com - but these are PROS - who get paid like PROS. This will not be cheap. But it is worth looking at. Deadlines are more important than ideas. So says Chris Baty, founder of NaNoWriMo. And it is true. With my novels - especially the first - I was under no obligation to finish by any certain date. Not so with the children's book team. Set deadlines and then meet them - tweet them - Facebook them - cheer lead everyone through. OR... you will never finish. Shepherd your work to the end. Push. Push. Push. Good artists may not be good layout designers. Our third member of the Bush-Petty Duo is Theresa Curtis - our layout designer. She ups our game. She is an exceptional colorist and does great layout. Of MOST use to Kevin and I, is that she was a step removed from our artistic process. She sees the forest when illustrator and writers only could see the gnarled maple in front of us. She is worth EVERY penny. Beyond that, Kevin could focus on drawing - and that was so important as our drop dead deadlines grew ever closer. Leave the door open for fate. Looking for an artist? Invite the Universe to send one your way. Put it out there with friends and tweets that you are looking for a good illustrator. Let is be known you have a plan, a deadline, a budget. Show you are serious and ready, and let fate happen. Our approach is not standard for the writer - illustrator partnership, but I think it works for us. We handle ALL aspects of our business (bookings and appearances, publishing, ordering books and managing the finances) together. And we live more than 500 miles apart! Not the easiest, but we get it done. Because we must. We see eye to eye on one thing: we have stories to tell, and we won't let ANYTHING stop us. You can learn more about Emilie P. Bush on Twitter @coalcitysteam or on the Coal City Steam website. And you can view the book trailer for Steam Duck Learns to Fly. Purchase the book on Amazon and Barnes & Noble. I love having guests whose skills are different from mine. Laura Sassi writes rhyming stories, something I have little experience with, so I had a lot to learn from her guest post. Do you have a story you think would work well in rhyme? It might, and it might not. Read this, and give it some more thought. My daughter loves shoes, especially sparkly shoes. “Like Cinderella!” she cheered as a toddler. But unlike Cinderella and her lovely glass slipper, my daughter learned early on that the shoe doesn’t always fit. Too big and it’s hard to walk in without wobbling. Too small and squeezing your foot in just plain hurts. 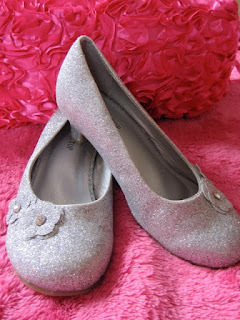 I love rhyme as much as my daughter loves sparkly shoes. It’s my passion and my preferred writing style. I’ve sold several rhyming stories and poems to kids’ magazines including Focus on the Family’s Clubhouse Jr., Highlights for Children, Spider, and Ladybug. And I’m thrilled to announce that Zonderkidz will publish my debut picture book, GOODNIGHT, ARK, a rollicking rhymer about bedtime on Noah’s ark. I once wrote a humorous three verse poem with fresh rhymes and impeccable meter. A perfect sell for the kid’s magazine market, or so I thought. Turns out, it’s fatal flaw was that it included a couple lines about algebraic expressions. Not something your typical rhyme fan is familiar with. Why? Because, as I’ve learned both as a former teacher and now as a mom and writer, the biggest fans of rhyming are the very young. Toddlers and preschoolers love playing with sounds and pointing out, repeating, and making their own rhymes. So, while I still love writing rhyming poems for the age 8 - 12 crowd, I’ve discovered that the pieces of mine that shine the most are the short and pithy rhyming pieces for youngest readers. All the recent news about bullying the the schools has made me think a lot about the role literature can play to help kids with self-esteem issues. There are many wonderful, moving examples of kids’ books where characters learn their own strength, and come to love how special they are. Particularly poignant are stories about kids with troubled home lives, who overcome daily struggles to find happiness. I think the most powerful examples are those flooded the with humor and joy, making the character’s pain bittersweet rather than depressing. 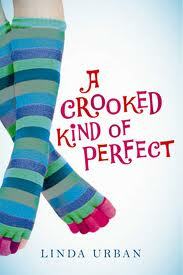 In Linda Urban’s A Crooked Kind of Perfect, a girl learns to celebrate her own gifts, and not to compare herself so much to others. Leslie Connor’s Waiting for Normal shows the power of a positive personality to find light in circumstances many would find impossible dark. These are both joyful books, despite the pain they describe. And then there is the cartoonish, or fantastical, or metaphorical lesson in self-esteem. A classic is George Selden’s The Cricket in Times Square. Lost little cricket, tiny and alone at the Crossroads of the World, manages to make friends and even be a hero. Or how about Jeff Brown and Macky Pamintuan’s Flat Stanley series? Stanley gets flattened to half an inch thick. Does he give up? No! He saves the day in his special, flat way. Some of the most affecting lessons in self-love come in the form of picture books. An extraordinary recent example of this is Claudine Gueh Yanting’s beautiful My Clearest Me, which shows a very shy child taking flight and freeing himself through poetic imagery and richly colored paintings. And then there’s Shel Silverstein, who contributed so many illustrated poems on the topic of finding strength in what the world perceives to be our weaknesses. I’m sure that one of the major reasons many of us write for kids is to have an impact on their lives. 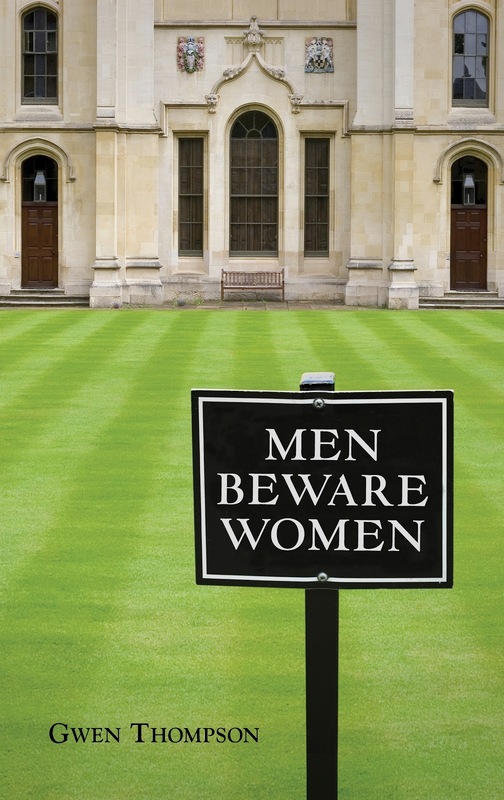 The impact can be huge, and it can be very positive, and need not be preachy. It can even be fun! Stories have magical potential. My guest today is Marian Lanouette, a novelist raised in my own adoptive Brooklyn, but who now lives in New England. She shares with us how she became fascinated with the mystery/suspense genre. Marian's new book is If I Fail, the first in a series of Jake Carrington Mysteries. These stories combine mystery with elements of romance. I love a good mystery or puzzle. 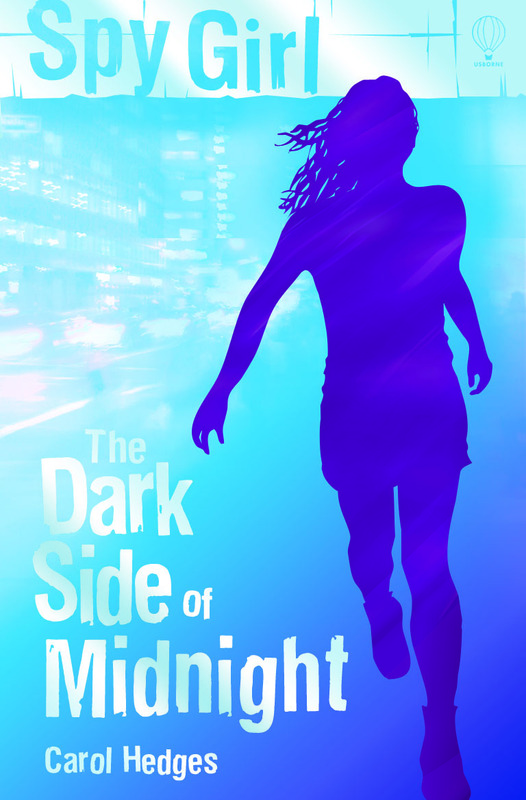 So it seemed natural when I sat down to write that the genre would be mystery/suspense/thriller. At an early age I started reading. Unbeknown to my parents I would read the New York Daily News because I had already read through all my library books. A story caught my eye. It was the murder of eight young women in Chicago. The case terrified me, yet intrigued me. I wanted the killer punished for his horrible acts. The reported frustrated with the police started to comment in his column instead of reporting the news. At dinner one night, I brought the subject up and each day I’d follow every story. My parents were horrified and put a stop to my reading the Daily News each day. I had to get my tidbits on the case from eavesdropping on the nightly news. How the police caught up with the murderer and the trial that ensued which intrigued me. It grabbed my attention and my imagination. To this day, I still check my closet before going to sleep. I believe it was on that day the mystery lover was created. Throughout the years, after the trial, I would take every mystery written for children out of the library and gobble them up. As I got older, my mind started creating stories. It wasn’t until recently that I decided to send the stories in for publication. Submitting took a lot of courage. I think I bled every time I got a rejection but I stayed the course and eventually found my publisher who I love. You can purchase If I Fail directly from MuseItUp Publishing or from Amazon. 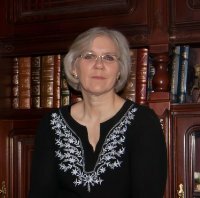 Learn more about Marian Lanouette by visiting her website or following her on Twitter or Facebook. It's my pleasure to welcome Terri Bruce, who's touring her new contemporary fantasy novel, Hereafter. Terri shares her thoughts about how research for fiction can be fun and absorbing, even for the reluctant researcher. As you'll see, Terri set quite a task for herself as she prepared Hereafter! 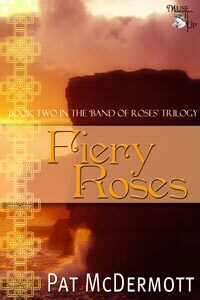 When I set out to write Hereafter I knew I wanted to create a story in which every culture’s and religion’s beliefs were true. Going into this project, I already knew a bit about quite a few cultures—the Greeks, the Norse, the Egyptians. Well…that was three. If I was going to include “every” culture, I was going to have to expand my knowledge. So I did a little research, visited a few websites, boned up on what I already knew and added some more cultures to my repertoire—Romans, Babylonians, Sumerians, Aztecs, Mayans. I even discovered a few cultures I had never heard of, such as the Etruscans. Well, okay, that was a start, but that was, quite frankly, a whole lot of focus on a few geographic and ethnic clusters—which was reflected in the amount of similarity in the beliefs. I needed more diversity so I started poking into Australian and Africa aborigine, Inuit, and North and South American indigenous Indian beliefs. Now we were getting somewhere! And, wow, this was all really fascinating stuff! Of course, this was a whole lot of “culture” but I was still missing “religion.” While I absolutely did not want Hereafter to be a religious book and did not want it to appear to subscribe to or advocate for a particular religion or world view, I knew that the story could not be completely divorced from religion and spirituality. I already had a good handle on the modern Christian afterlife and a little knowledge of modern Judaism. I was going to need a lot more than that. Back to the books! I researched everything that all of the modern religions I could identify had to say on the matter—Buddhism, Hinduism, Islam, Baha’I, Confucianism, Taoism, and more; then I discovered some rich source material on several ancient religions, like Zoroastrianism, ancient Judaism, and such, including quite a few I had never heard of. Around this point, several critique partners reading early drafts of Hereafter asked if I had a degree in comparative religion and after a while, it started to feel that way. So now I had a ginormous three-ring binder full of source material. And yet, something was still missing—I had a lot of great information on what would happen to Irene after she went through the tunnel, but very little about what she would encounter on earth, as a ghost, which was the main plot of Hereafter. Say it with me—back to the books. 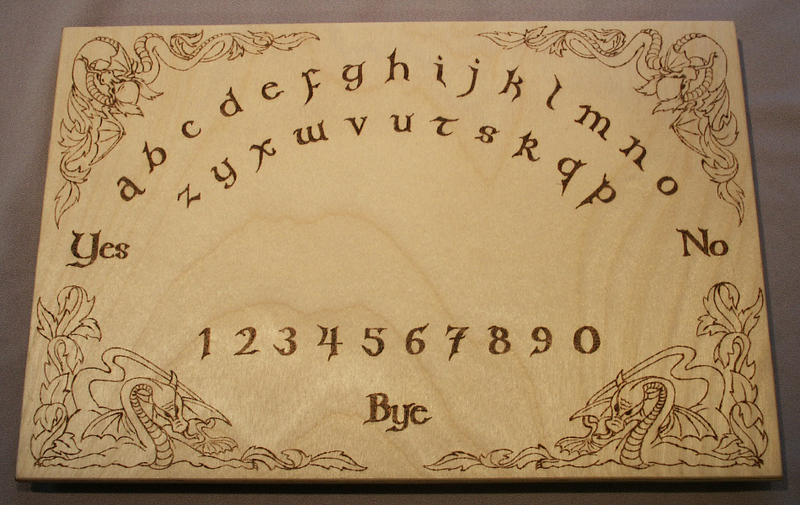 This time, I focused on funeral customs and beliefs related to ghosts and spirits. I already knew about the Egyptian custom of mummification, Irish Banshees, the Jewish tradition of sitting Shiva and burying the dead without embalming, and Chinese Ghost Festival and the idea of Hungry Ghosts. 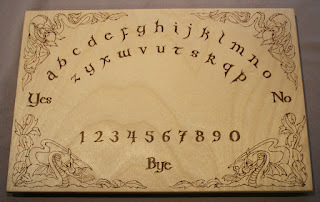 I knew a bit about ghosts in general and a few charms/superstitions meant to either repel or call ghosts. Now I learned about the funeral customs of a hundred different cultures—both ancient and modern—and the names and forms of every type of ghost, evil spirit, and death omen. Oh my! My binder grew fatter and graduated from a 2” shell to a 4”. I was feeling pretty good about the research I had done at this point; the world-building of Hereafter was rich and intense, full of both subtle and obvious references to a hundred different cultures and religions. And everything fit together much more neatly than I had thought it would. Then…halfway through completing the first draft of Hereafter, I went to two workshops on world-building. One was on “place as character” and the other was about creating realistic cities in fiction. It struck me that I had not been paying enough attention to “place” in my story; or more specifically, to the history of the place where my story was set. Hereafter is set in Boston—a place rich with history, and the ghosts of people from the past were very probably still wandering around the city. If Irene was stuck on earth as a ghost, then it was just as likely that people from other eras were, too. I realized that Hereafter was as much a time travel story as it was a story about the afterlife. So now it was once more back to the research, but this time on the history of Boston. I have never been much interested in history and have a terrible time keeping names and dates straight. However, I do love the history of cities—I love learning how they have grown and changed, both physically and culturally. I collect old guide books and love to try and follow their touring instructions, just so I can see what’s changed—new streets that have been added and old streets that have been renamed or disappeared altogether, new buildings that have gone up and old buildings that have been torn down, and the changing borders or even identity of the various districts or neighborhoods. Cities are alive and organic and they constantly grow and change. So for me, researching the history of Boston became just as fascinating and engrossing as researching the afterlife. And what an education! I learned that the South End had once been known for its rooming houses, that the subway line I thought was the newest was actually one of the oldest, and that the clean, business-like “government center” area had once been filled with burlesque halls. In short, I learned that a city I thought I knew intimately, I didn’t actually know all that well, after all. Finally, I reached a saturation point. I had more than enough information to write Hereafter; there was no point to doing more research, and in fact, time spent doing research was time away from writing. There was no help for it, I had to put down the books and pick up my pen. To be honest, I felt a little bereft. Occasionally I needed to look up a stray fact, verify a spelling, confirm the veracity of a source, but it wasn’t the same. I had become a research junkie and I was cut off, cold turkey. Gradually, the love of writing replaced my newfound love of research and I learned to cope with no longer needing to read obscure texts at odd hours. It was time to write the sequel. You can purchase Hereafter from Amazon or directly from the publisher. You learn more about Terri Bruce by visiting her website.